The campaign to further revive the use of Manx Gaelic is "progressing well", according to a champion of Scotland's native language. Roy Pederson has been commissioned to form closer links and share resources to promote both the Manx and Scottish Gaelic languages. On a visit to the island, Mr Pederson said he had been heartened by the enthusiasm of residents. "I'm very impressed with the progress being made," he said. "I think you're doing very, very well here and the enthusiasm of people is wonderful." In 1985 the Manx Gaelic Advisory Council was set up to regulate and standardise the official use of Manx. 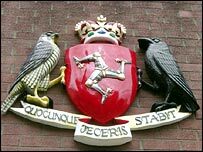 Its duties include the translation into Manx of legislation passed by Tynwald and providing Manx versions of the titles of government departments and street names. By the census in 1991, 643 people indicated their ability to speak Manx with a degree of fluency. The most recent census of 2001 shows a further increase to 1,689 people with a knowledge of Manx.